This development land is located on the Central Pacific Coast of Costa Rica, 15 minutes drive from of Playa Jaco, 25 minutes drive from Marriot’s project “Los Suenos”, 45 minutes drive from Costa Rica’s famous national park in Manuel Antonio, and 1.5 hours drive from the capital, San Jose. The land is completly flat perfect for commercial or residential development, as well for agriculture and cattle. With a total of 176 ha of flat land and 3.2 mile long of dark-sand beach, this property is unique and won't last long. 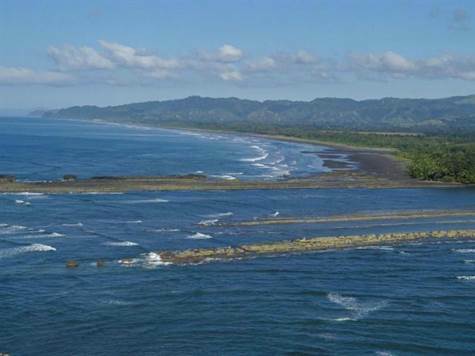 Jaco is the closest beach front city to San Jose. It is visited by many tourists from many different countries, mainly because it works as a transportation hub for all the other beaches in the area. Jaco has many bars and discos, and has a very active nightlife. Currently there are numerous High-Rise condominiums projects in this city, booming the real estate industry into new levels. Marriot’s Los Suenos is a very famous resort in Costa Rica. With its 200-slip international marina, challenging 18-hole golf course, and four star Marriot hotel, it has all the accommodations one can dream of. Manuel Antonio National Park The stunning beauty and the diversity of wildlife have made this national park a must visit location for visitors. It offers great ocean view points, lovely beaches, and numerous boutique hotels to stay in.